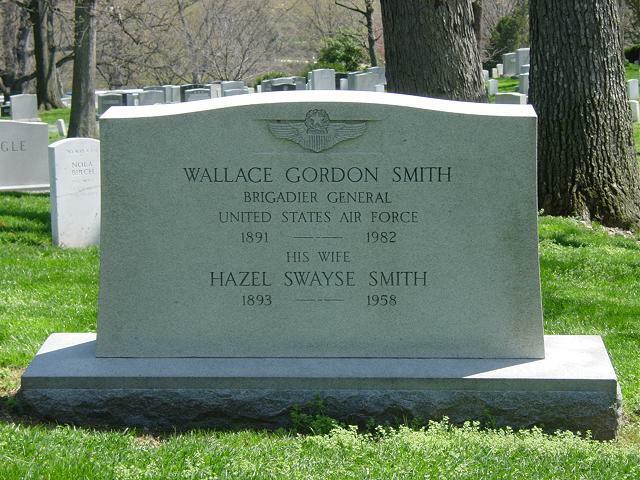 Wallace Gordon Smith was born in Buffalo, New York, in 1891. After attending the University of Missouri and Montana Agricultural and Mechanical College, he enlisted as a Private in the Aviation Section of the Signal Corps on December 24, 1917. The following March he entered flying school at Wichita Falls, Texas and was commissioned a Second Lieutenant in the Aviation Section July 31, 1918. He received his regular commission as a First Lieutenant on July 1, 1920. During his first decade with the Air Force, he served at various air bases in the United States and Hawaii, and graduated from the Air Service Communications School and the Air Corps Tactical School. In January 1938, he was named commanding officer of the Material Division in the Office of the Chief of Air Corps at Washington, D.C., and four years later became deputy director of communications at Air Force headquarters in Washington. In March 1943, he was appointed air communications officer at that headquarters, and from July until September l943, served as acting communications officer there. He then served two months as chief of Plans Division in the Air Communications Office, and in November was transferred to Orlando, Florida, to become chief of the Communications Division of the Air Force Board. 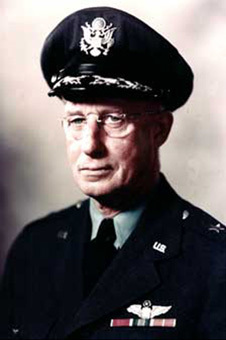 He returned to Air Force headquarters in October 1944, to become chief of the Operations Division in the Air Communications office, in which capacity he served until November 1945. At that time he was appointed commanding officer of the Seventh Airways and Air Communications Service Wing at Manila, Philippine Islands, and remained in that position when the wing was transferred to Tokyo, Japan. He returned to the United States in September 1948, to assume command of the Airways and Air Communications Service at Gravelly Point, Va. He retained command of AACS when it was moved to Andrews Air Force Base, Maryland, three months later.